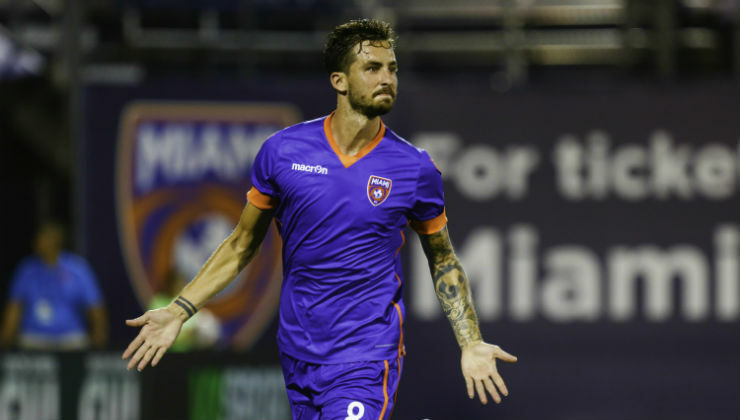 Since the outset of the 2017 Spring Season, Miami FC has flexed its attacking muscle. The club has taken the most shots, created the most chances, and has scored the most goals. No other players has benefitted more from the club’s attacking prowess than forward Vincenzo Rennella. The 28-year-old, who has spent time playing in La Liga and Serie A, has scored a league-leading seven goals. Including his appearances in the Lamar Hunt U.S. Open Cup, he has scored eight goals in his last 10 games. Rennella, though, has been more than just a finisher. He has a league-leading four assists on the year as well. Rennella is coming off possibly his best performance of the year. The veteran had his first multi-goal game in 2017 – the first time he's done so in the NASL – scoring twice in a commanding 4-0 win over Jacksonville Armada FC. Rennella also added an assist and had a perfect passing game on 30 attempts. Rennella’s goals have led Miami to a seven-point lead atop the Spring Season table and closing in on the club’s first piece of silverware. 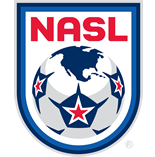 A win against the New York Cosmos this weekend would put Miami another step closer to the Spring Championship. Whether it’s Rennella remaining on the scoresheet this weekend or not, Nesta has his full trust in each forward. Stéfano Pinho has scored four goals in his last two games, including a hat trick in the Open Cup win against Orlando City SC. Kwadwo Poku and Dylan Mares have both contributed three goals so far this season. Miami kicks off against New York at 7:30 p.m. ET on Saturday night in a matchup that will air on beIN SPORTS USA.